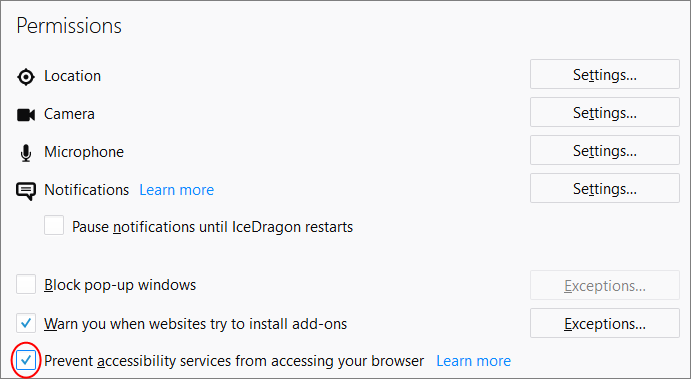 The Ice Dragon accessibility service is designed to improve how websites are rendered for physically impaired users. If the service is enabled, it allows 3rd party applications to inspect, monitor, visualize, and alter web page content. Prevent accessibility services from accessing your browser - Enable this checkbox if you do not wish to extend these privileges to accessibility services. You may want to do this if you do not have any physically impaired users that use your Ice Dragon installation.